It’s been great getting back on my bike again over the last few weeks, after a significant pause due to travelling for work and being otherwise busy. I turned 39 over the weekend and have resolved to try and manage my work-life balance a bit better, and to get healthier both in body and spirit. Being totally focused on the job just isn’t good for oneself, and actually makes you less productive at work; starting to write my blog again will no doubt keep me motivated. The last major cycling I did was back in March when I took a holiday in Tenerife with my brother, sister-in-law and their kids. 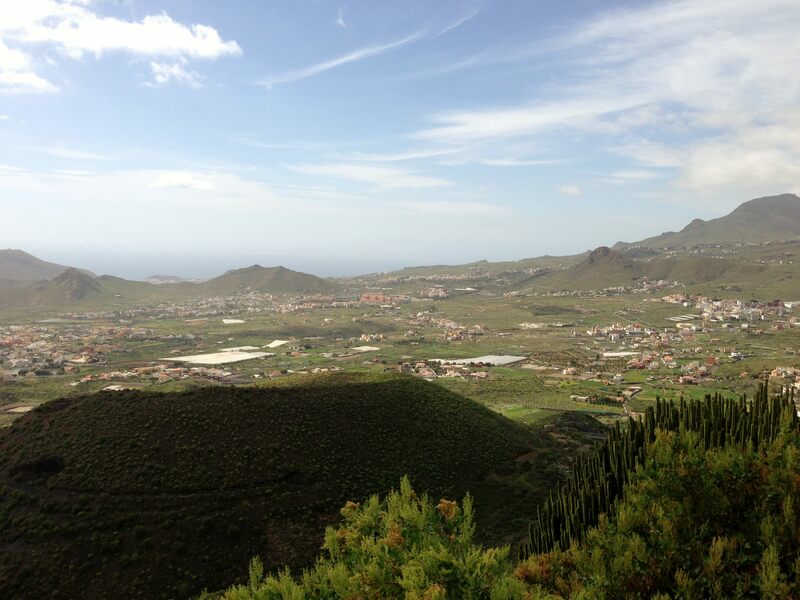 It was a great break, and Tenerife is brilliant for cycling; many a professional team have training camps out there. 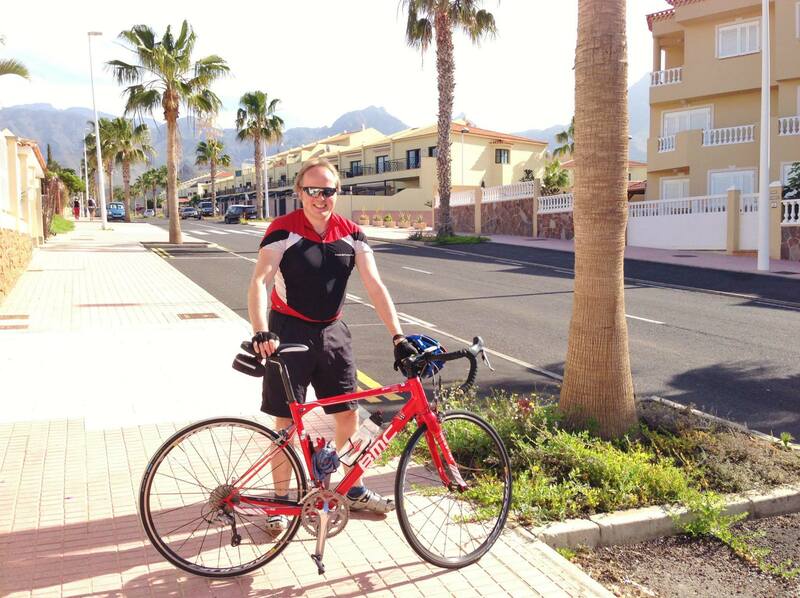 I hired a bike for a few days and cycled up Mount Teide, Tenerife’s volcano and one of the longest continuous climbs you can take on in Europe. 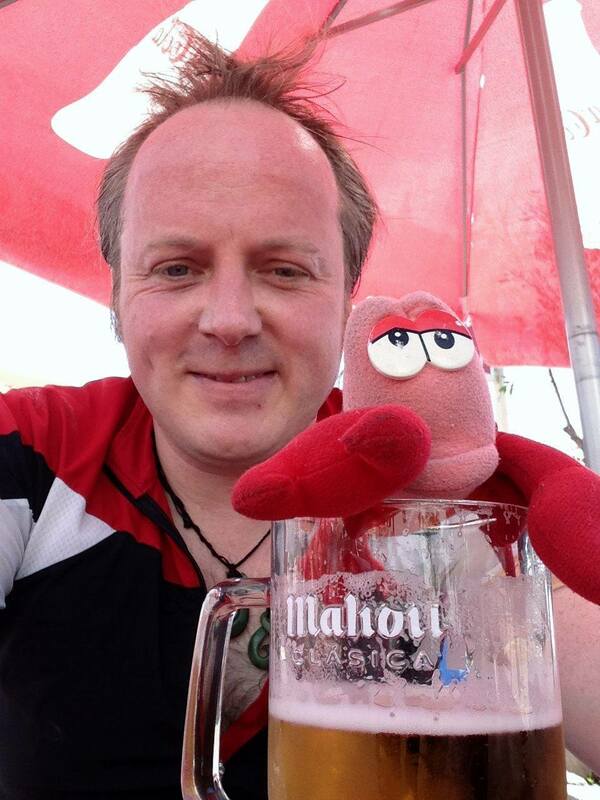 I’d only cycled half-way up Mount Teide before Lobster demanded a beer break, then decided it was time for a manic descent around many a hairpin and exhilarating steep section, all in glorious sunshine. Anyway, back to the present day. I’ve been commuting to work each day, and trying to get out for a longer cycle on my way home. The Norfolk countryside is fantastic in the summer weather we’ve been experiencing. Cycling the few miles to work, and experiencing all the traffic made me wonder why more people don’t get on their bike for the short journey they have to make? The benefits are there to be claimed; get fit and lose weight, spend less on petrol, less pollution, less cars on the road, you can say hello to more people, less stress, the list goes on. You know those decorations called indicators on your car, well can you please use them. Whilst most cyclists will try and anticipate what you’re doing it’s not always easy. Why are we so bad at this in this country? Please can you not overtake me then immediately turn right, causing me to slam on my breaks to avoid running into you. Nearly went over someone’s bonnet the other day. Pulling out from a parking space without indicating, immediately in front of me, is not very polite. Opening your car door as I cycle past, whilst causing a bit of excitement and an adrenalin rush, is not something I particularly enjoy. Please look in your wing mirror. My personal hate at the moment; using your mobile phone whilst driving, whether it being to text, check Facebook, or speak to your Mum. On a roundabout the other day I witnessed someone smoking a cigarette with one hand, speaking on the phone with the other, and as a result nearly causing 3 accidents. Grrrr. I’m sure waiting a few minutes to finish your journey, or pulling over at the next available opportunity isn’t going to impede your social life too badly, and perhaps it will stop you from flattening someone. There was a brilliant clip I saw today of an advert in a cinema showing someone driving. At the same time the cinema texted everyone watching whereupon they all pulled out their phones to check the message, in the meantime the car crashed – what a brilliant advert; no-one could resist the allure of their mobile. Why do a lot of people dropping off their kids at school think the rules of the road no longer apply, same in car parks? Not safe for your kids let alone a cyclist trying to dodge you. In rush hour traffic many cyclists are going to be a lot faster than you. I can generally get to work more quickly on my bike than I would driving. Please don’t make every effort to overtake me then pull in front of me, often then breaking sharply because there a long queue of traffic. Don’t get annoyed if a cyclist overtakes a cyclist, pulling out to do so. This is perfectly legal and safe. It’s made unsafe because you can’t bear waiting a few seconds for the manoeuvre to complete. If you can’t drive that expensive 4×4 or equivalent safely, with awareness of how big your car is, buy a smart car or something equivalent. It’s safer for all concerned. One for the pedestrians; just because you can’t hear a car doesn’t mean there’s not a cyclist coming up as you step onto the road to cross. Please revise the green cross code. I could go one but best stop before this turns into more of a rant. In return I’ll not jump red lights, not undertake you (I will probably still overtake you), not cycle on the pavement unless it’s really too dangerous to do otherwise – in which case most of the time I’ll push my bike, indicate with my arms, obey the same laws you do, and continue to cycle to lessen the horrendous amount of traffic of the roads these days. And before people say that I don’t get it because I don’t drive, I do, and I pay road tax – a lot because my car is quite old and not especially environmentally friendly (hence one of the reasons I cycle more). Thankfully the majority of drivers are fairly competent and sympathetic to cyclists, so well done to most of you. Hope the rest of you evolve soon or the selfish gene takes its course. If you’re not a confident cyclist because of the points above, and the sheer volume of traffic on the roads, I can only encourage you to persevere. It sometimes takes a bit of bravery to keep safe; pulling out to stop stupid overtakes near roundabouts, not cycling in the gutter etc. And if you see a campaign for more cycle paths, or a cycle to work scheme, take advantage. I received a surprise mini DV for more birthday (thanks Sheila, Norm and Sue) which I can attach to my cycle helmet and use to ‘video’ my cycling exploits. Looking forward to setting it up and perhaps publishing a few examples of close encounters on this blog; not looking forward to the bad experience but happy to record it for posterity. Drivers should do the same and record any foolish cycle manoeuvres, or bad driving experiences, just to keep thing fair – it’s that mutual respect thing. So, enough of that already. I’m back on my bike, enjoying it a lot despite the above rant. Got more cycling trips planned, some micro-adventures, and perhaps a 3 month tour in Europe next year if I can convince work to give me the time off. 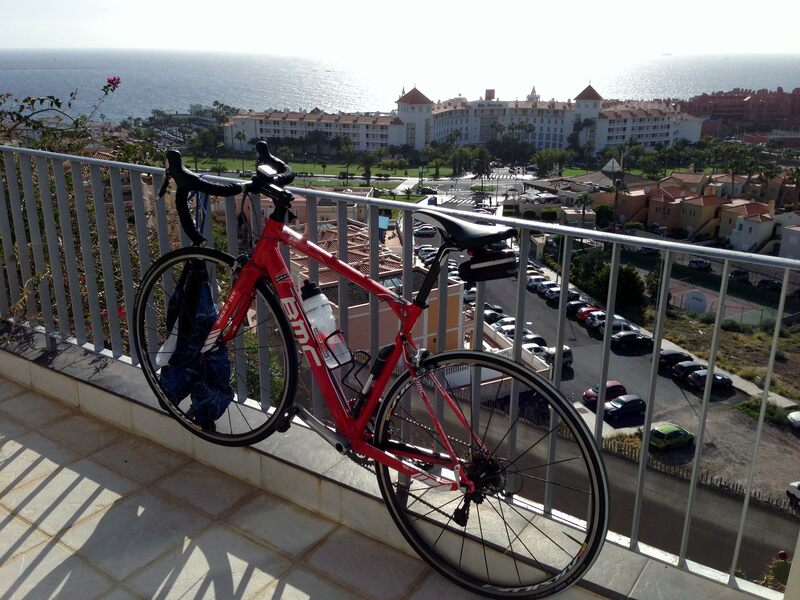 This entry was posted in Bike around Britain 2014, General and tagged bicycle, bike, Bike around Britain, bike point, cycle commuting, cycling, Norfolk, safe cycling, Tenerife on July 8, 2014 by SelfPropelled. Think it’s about time you took off on a tour yourself Kim. Put the kids in kennels and you and Keith head to Ireland and County Kerry for some Guinness and revisitng old haunts! Yeah, do it! Record those idiot drivers and put the videos online. Norwich is a small place – word’ll get around. There are also some nice drivers out there – usually women and truckers – put them online too. Nice post – welcome back. Spot on, got to record the good and the bad! Great post & photos. I know many people prefer Mallorca, but Tenerife is a fantastic place to ride too. Great pics from Tenerife! Agree with westonfron, all drivers should ride a bike for a day (compulsory). Thanks KG – sorry, only just saw your comment! Would love to go back to Tenerife for more pedalling soon, but it’ll probably have to be next year due to other tour plans. Will be interesting to see what the drivers are like in different European countries later this year.